I just listened to the episode of How I Built This with Herb Kelleher, co-founder of Southwest Airlines. Contrary to what you’ll read and hear about in the business world today, Herb was a fan of building a profitable business with Southwest. It was never about creating an incredible top line or gaining market share within a certain timeframe. It was always about being profitable. It was about sticking with their efficiency model and giving customers the lowest price possible for airfare. And it’s obviously worked out very well. Southwest has been profitable, I think, every year since they’ve been flying commercial flights. Nearly 50 years and counting. They’ve also become one of the largest airlines in the world. Part of being profitable, and something Herb has called out over the years, was saving cash. They wanted to expand with cash and not with a lot of debt. The feeling, I would guess, was that if they were to take on too much debt that the interest costs would just go to the ticket prices. And their goal was always to offer the lowest ticket prices. 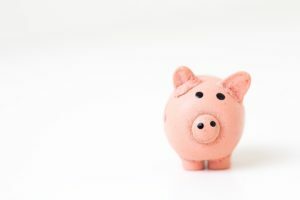 It’s not a trendy or exciting business and life tip, but over the long-term, saving cash can provide a great advantage. Here are a few tips for setting yourself up with this life hack. There really is no trick necessarily to saving. You save. But if there is something of a trick it would be automating. Specifically it would be setting up a saving account for each of the things you want to save for. In business, maybe in the case of Southwest, it would have been an Airplane savings account. Then an Airport Expansion savings account. That kind of thing. For personal saving it might be Retirement savings, Rainy Day savings, Healthcare savings and Car savings. That kind of thing. Set it up so that once you get your paycheck that a percentage is gone right away for those savings accounts. You get in the habit quick when it feels like you never had the money in the first place. If people had to write checks at the end of the year for taxes there would be a lot of people in jail because that money would be spent well in advance. 2. Do I Really Need That? I like to set things in my shopping cart online. Then I’ll come back the next day and decide if I really need. Often I’ll just forget about it and come back a week later and just delete it from my cart because I’ve realized that I don’t need it. It helps with impulse buying. But even if we’re careful with our spending there will be plenty of times when we spend too much and save too little. That’s why scheduling regular spending audits helps. It’s just the process of going through your budget. Your personal and business budget. What you plan for and what actually happens. I like to do this every six months. Every 12 months is a good place to start. Something that a lot of successful people and businesses seem to do is to up their savings annually. If at all possible they increase their savings even they’re not necessarily earning more money. There will be times when it’s just not possible to save more, but you’ll find that most years it’s possible to add more to the bank account. One final little insight here is that when you’re spending money, it’s often easier to spend the credit or borrowed money than it is from your own savings account. For whatever reason we see our net worth number or our savings number and we want to increase it. It’s a sense of pride. Any spending becomes painful. But when it’s a loan or credit or anything like that there is little pain. We just pay it back monthly or whatever. Doesn’t matter if it’s personal or business. So getting in the habit of saving and spending from savings builds in a little check in the process. If you’re looking for an advantage over the competition one big one could be saving more cash. This could be especially true in an economic downturn. When things go south, owning money is really not a good thing. But if you have savings and your competition doesn’t, they likely will go under and you can be there to pick up their customers. You could actually weather the storm with savings and grow as the competition fails.